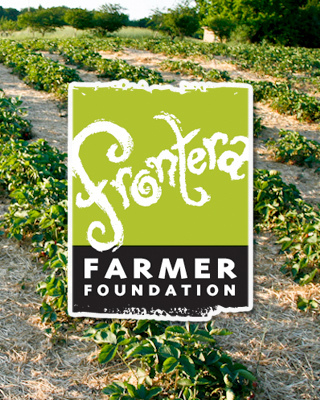 As today is December 13th, and as December 13th is just twelve days from Christmas, today is the day we start celebrating Los Doce Dias de Navidad–twelve days of all the Christmas-y things we do here at Frontera. First up: buñuelos. Like almost everything in Mexico, buñuelos vary by region. In Oaxaca the fritters are made only around Christmas; elsewhere, such as Morelia, they’re made year-round. In many places they are thin and crisp; in Mexico City, you’ll often find buñuelos de viento, which are thicker and shaped like a flower. We’re serving them both ways. 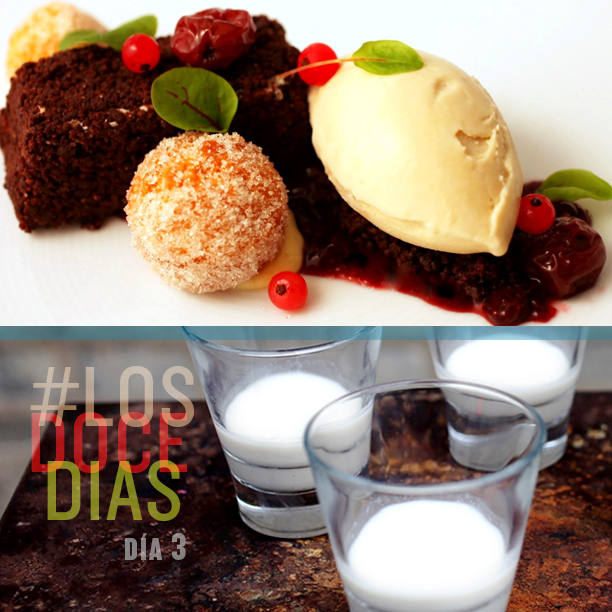 At Frontera, miniature versions of thin buñuelos are paired with guava, cinnamon ice cream and lime-scented meringue. 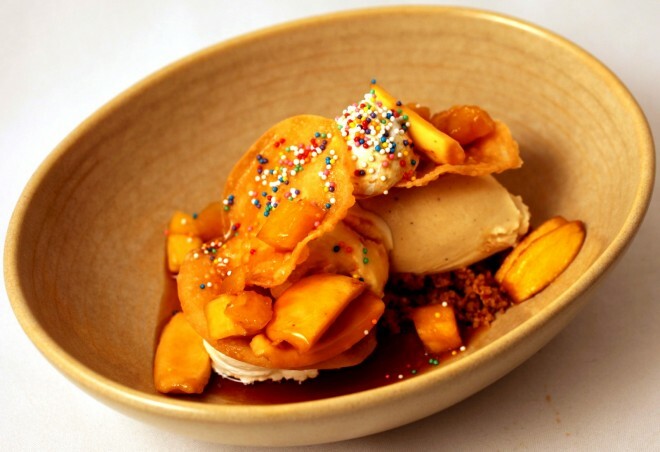 At XOCO, buñuelos de viento are plated on ganache and topped with ice cream and cajeta. 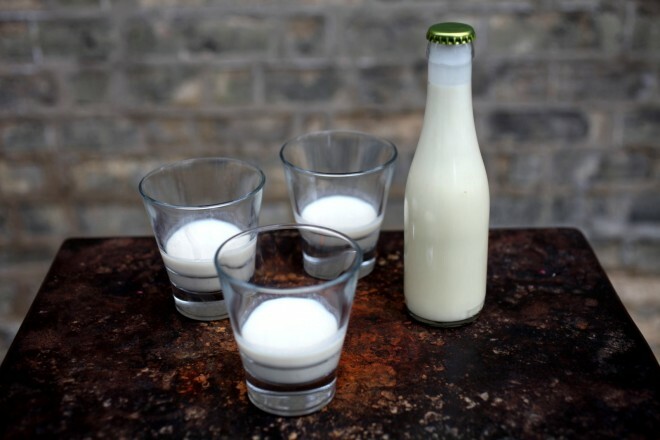 Can you make these at home? Sort of. Buñuelos de viento require a specially shaped iron, which is kept hot, dipped into the batter, and then immediately dropped into the fryer, where the buñuelo crisps up and releases. Hard to replicate at home, for obvious reasons. But if you’re up for a project (maybe we a few other people to help), you can make the flat version at home. 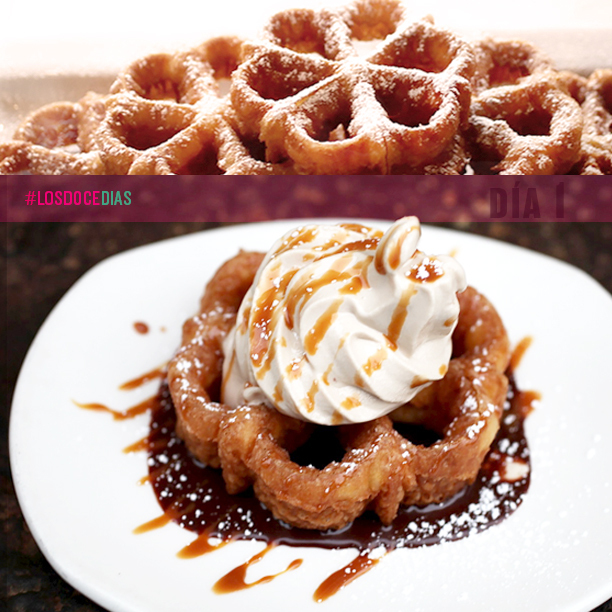 We’ve put the recipe (originally from Fiesta at Rick’s) on the site. Get organized now–Christmas is in only doce days. 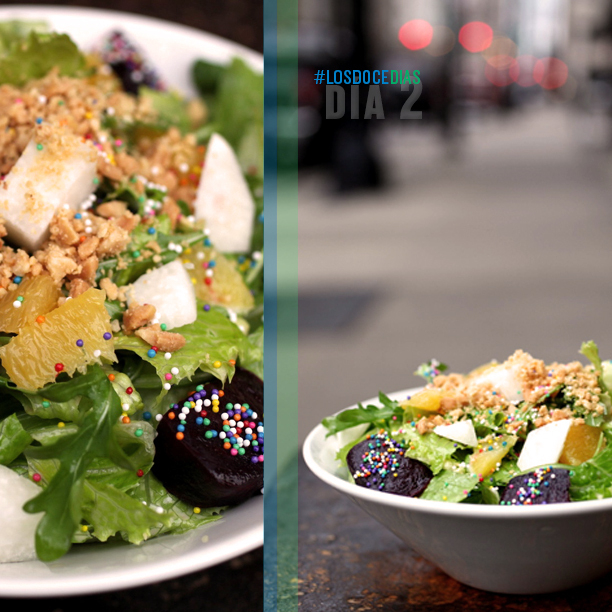 For our second day of Los Doce Dias de Navidad, we present a salad. A salad with sprinkles on it. The ensalada de noche buena is traditionally served on, well, noche buena, a.k.a Christmas Eve. Aesthetics are crucial here: The salad is designed in the Christmas color palette of green (lettuce), red (beets, pomegranate seeds) and white (jicama). Of course, if you Google the salad, you’ll see that some people leave out the green—that is, the lettuce—altogether. And some people go crazy with the white, adding, um, mayonnaise. Our version at XOCO sticks pretty traditional, with romaine, roasted beets, jicama, orange, peanuts and a piloncillo-sherry vinaigrette. True, we left out the pomegranate seeds. But we kept the sprinkles, which are the ornaments on this Christmas tree of a salad. By any measure, that’s a fair trade-off. 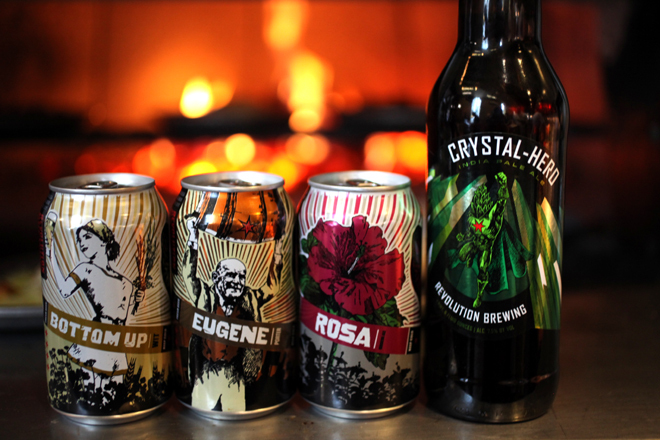 The beer revolution is happening. And it’s happening at Xoco. 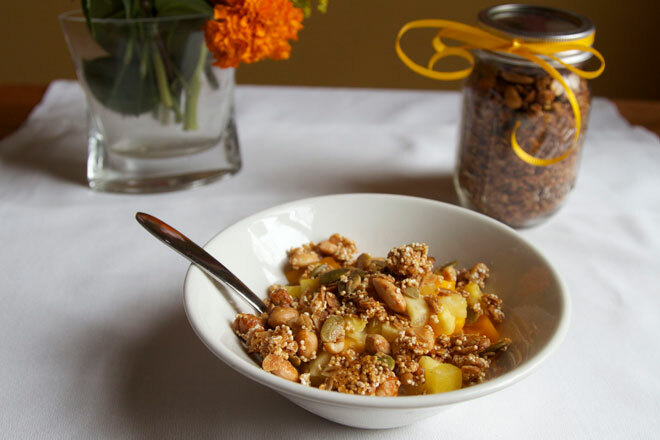 This Mother’s Day, we’re making granola. Yes, granola. Turn on the oven to 300 degrees. On a rimmed baking sheet lined with parchment paper, spread out the oats, nuts, pumpkin seeds and amaranth. Bake, stirring halfway through, until the nuts are just beginning to color and the oats are crispy, about 20 minutes. Scrape it all to a large bowl, sprinkle on the flour and toss to coat. In a medium bowl, whisk together the oil, honey, sugar and salt. Pour this mixture over the oats and mix until everything is evenly coated. Spread the mixture into an even layer on that same parchment-lined baking sheet and return it to the oven. Bake, stirring every ten minutes, until the oats are a rich caramel color, the nuts are browned and shiny, and the granola is fragrant, about 40 minutes. (The baked mixture may still feel dampish when you stir it with a spatula, but it will crisp as it cools.) Transfer the baking sheet to a cooling rack and let the granola cool completely. With your hands, break the granola into bite-size clusters and transfer it to an airtight container; it will keep for two weeks or so. 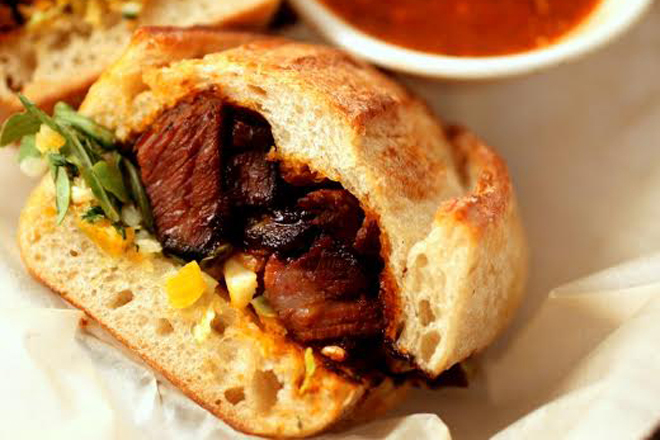 Smoked Short Rib Torta 8-hour smoked beef short ribs with spicy salsa negra and apricot slaw. What a pair! 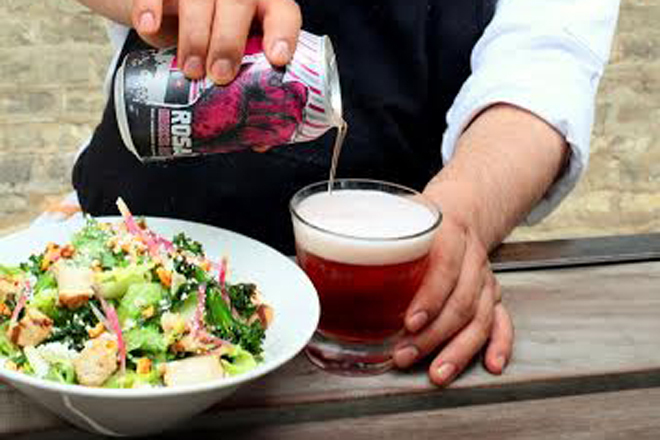 Chef Alonso pours a delicious Revolution Rosa. 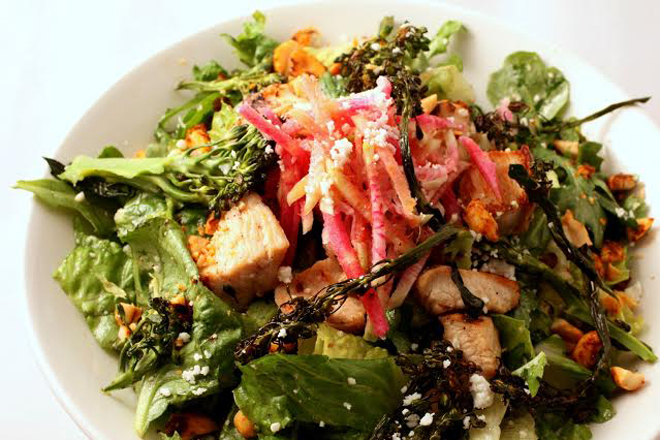 Hibiscus-Glazed Grilled Chicken Salad Guajillo peanuts, broccolini, crisp romaine. 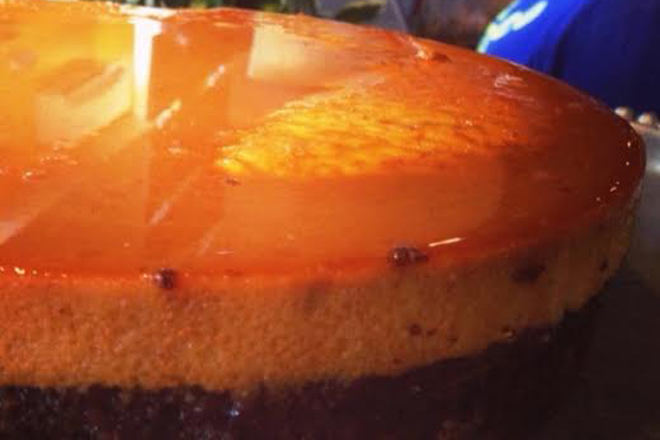 Eugene Porter Xoco Flan Half chocolate cake, half flan, drizzled with malty beer caramel. 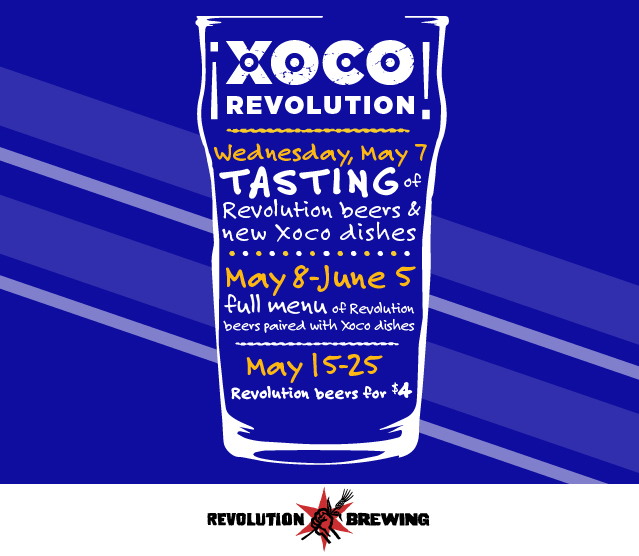 You might recall that earlier this month we held an event at Xoco where we tasted Revolution Beers and some special menu items that we made to pair along with them. Perhaps you even at that event. No? Well don’t worry—we’ve got you covered. Those beers—and the food that pairs with them—comprise our new seasonal menu, which is yours for the taking (as long as you get here before June 5th).